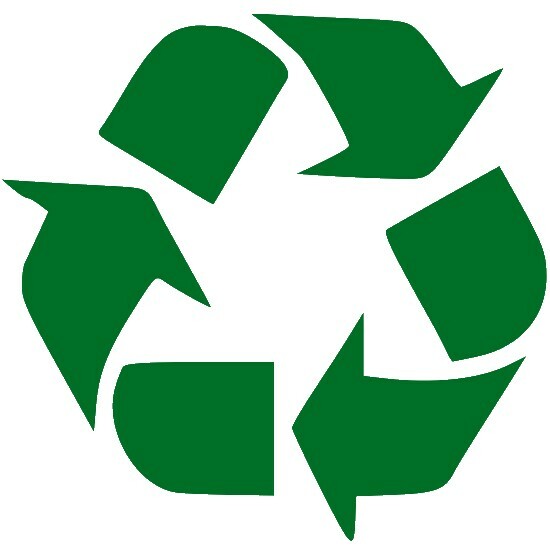 With the prices of raw materials and oil going up the roof, recycling becomes increasingly interesting. By reading Green with a gun I found some most interesting data on that topic. Kyle quotes there a great article from The Times and give us as well more note worthy data and thoughts. This reminds me that I have been sorting out waste daily since I am a teen. This simple action is one of the very basis of a more sustainable lifestyle with less waste and more respect for our planet. This year alone the rising cost of oil – used to make plastic – has pushed prices of domestic rubbish even higher. The sale price of mixed plastic bottles has nearly tripled to £230 a tonne in the past six months. Six years ago it was £10 per tonne. With plastic processing advances in coming months, yoghurt pots, bags, food packaging and any plastic containers will be even more sought after as manufacturers recycle plastic to avoid buying oil. Newspapers and cardboard now sell for £100 a tonne, double what they were fetching early last year. Metal from cans was £80 a tonne at the start of 2007 and has risen to £200. A tonne of copper now sells for more than £3,000, compared with a tenth of that in 2002. Dented bean tins and crumpled drink cans may be rubbish to most of us, but to the recycling teams who collect them from the kerbside they have the glint of prospector’s gold. (…) The rise in value of waste is illustrated by the industry’s turnover: £1.2 billion in 2006, and two years later, 66 per cent higher at £2 billion. Recycled plastics, derived from fossil fuels, have proved particularly attractive and several plants have opened in Britain to reprocess them. In 2006 an estimated 200,000 tonnes of waste plastic, much of it bottles, was sent by Britain to China but the quantity exported is expected to fall sharply. Britain’s plastics reprocessing capacity has leapt from about 30,000 tonnes in 2006 to 150,000 tonnes — and by the end of the year it is expected to increase to 250,000 tonnes. This is the sort of change we can expect as our resources deplete: people become more interested in recycling the resources. It’s something that showed up in my research for the Carbon Account Challenge, that if you recycle material rather than making new stuff, what’s saved isn’t so much energy (…) but resources. And that has indirect savings in other areas. For example, when mining, we don’t usually find solid chunks of pure metal several metres thick. Instead there are little pieces mixed in with tonnes of other stuff we usually don’t want. So each kilogram of copper recycled is not simply one kilogram less mined, but 100 or even 1,000 kilograms of other rock not dug up. (…) So that even if not much energy is saved overall, it’s still a very good thing to be able to have less of this. Of course, ideally we wouldn’t wait for the price of the raw material to go up hugely, but would recycle routinely. We could for example say, “We have enough stuff, from now on, any new stuff must come from old recycled stuff, mining new stuff will only be allowed to replace losses in the process.” But, “we have enough stuff”? Crazy talk, I know! I couldn’t agree more with that ! Personally I think mining landfills will come sooner that we think and will have a lot of benefits for our environment and societies. Some people in poor countries are already ” mining ” landfills to survive, so there are some useful thing there. Perhaps former landfills will turn into beautiful gardens, such as the one I visited a couple of months ago. Thanks Daryl for your comment. That’s exactly what I meant by poor people using the resources we dump to survive. Hopefully, this situation is going to be reversed !